Chief, Da-Lite, and Vaddio have joined Almo Professional A/V and will be appearing at the E4 AV Tour coming to Chicago on March 22 and San Jose on April 19. At the E4 AV Tour stops, Chief, Da-Lite, and Vaddio will be showcasing many solutions including wall and projector mounts, monitor arms, mobile carts, in-wall storage boxes, power protection, projection screens, and videoconferencing systems. 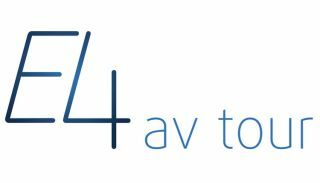 The E4 AV tour has traveled to cities around the country to provide product, technical, and business training needs to thousands of resellers and installers while creating a forum for professional networking. The E4 program offers AV professionals a full day of educational sessions worth InfoComm Renewal Units, as well as access to the newest AV products and services.